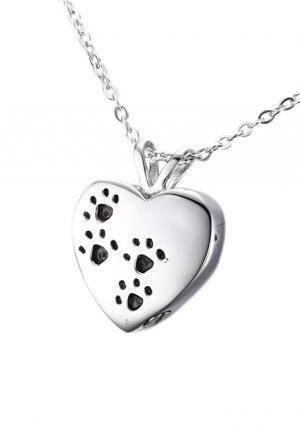 Pet cremation jewellery heart shape pendant used to store small memorials of your loved pet. 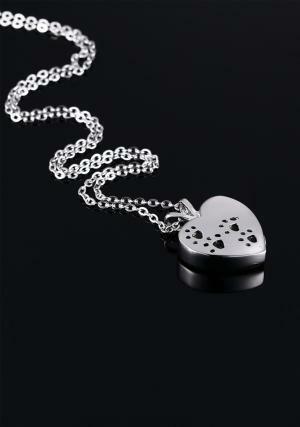 The heart pendent urn comes with the chain of snake model. 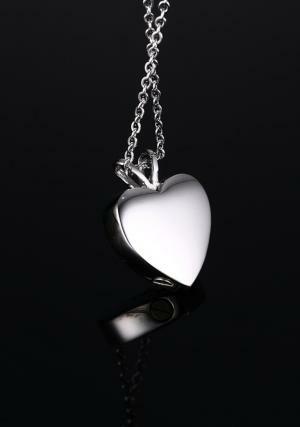 Pendent urn can hold the token ashes or soil or a lock of hair. 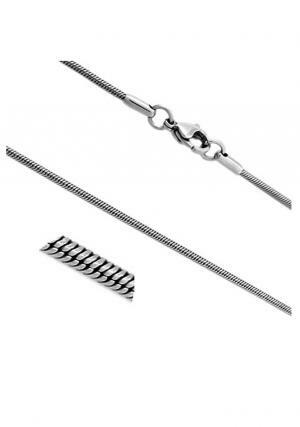 The jewellery pendant measures height & width of 20 mm and length of the chain is 50 cm nearly. 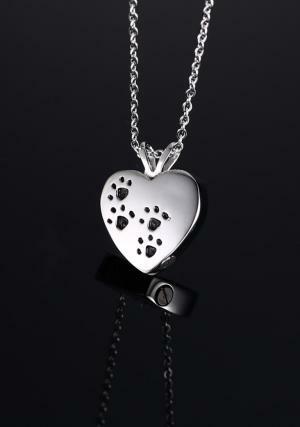 The heart memorial pendant has little black color paw prints which add the fashion to wear. 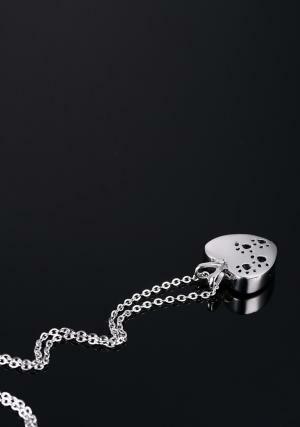 The hollow pendant weighs 0.1 kg and it can hold 1.1 cubic inches of ashes in it.